Stock market monitor and portfolio management application for clients of Dhaka Stock Exchange (DSE) or Chittagong Stock Exchange (CSE). Allows users to get real time price of stock/shares. Users can also maintain their Stock Portfolio. Press the Refresh button any time to get the latest price from DSE/CSE server and recalculate portfolio total value, loss/gain etc. DSE Index: When user runs DSETracker Lite, latest stock quotes from DSE server is shown in this tab. Pressing the Refresh button retrieves latest price. 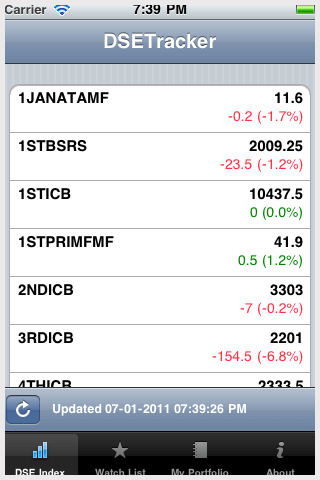 Watch List: User can have a pre-defined list of indices to monitor. Press the Edit button and click on the indices for toggling selection. Press Done and the list will be refreshed. Refresh button will get the latest prices from server. 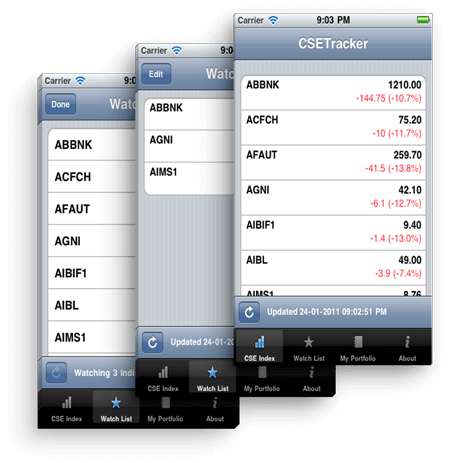 Portfolio: Users can manage their DSE/CSE portfolio. Press the + button to add share information to portfolio. Select the index name, quantity and purchase price, then press Done to save. 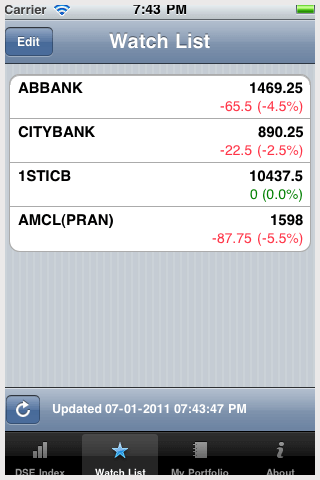 Refresh button will recalculate portfolio current value & gain/loss. Currently DSETracker Lite only supports a single portfolio. 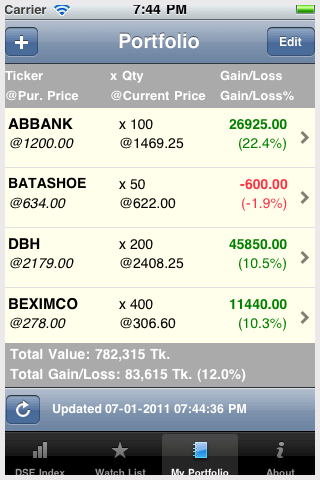 Next version will allow multiple portfolio, stock graphs, price history, information from DSE Trade Server etc. Maintain your stock portfolio and keep aware of profit/loss based on current price.  Maintain a short list of indexes to keep a close watch on the indexes of interest.